Tradition: An actor from Nguyễn Hiển Dĩnh Theatre in Đà Nẵng performs Tuồng. 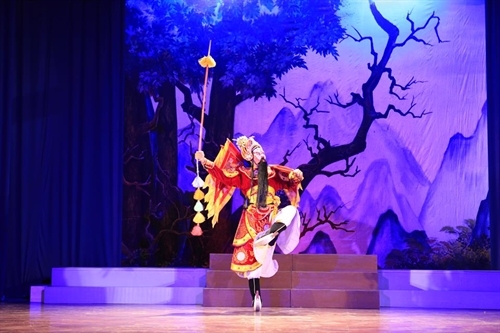 ĐÀ NẴNG — Over 700 artists and actors from 11 art troupes nationwide will participate in the annual National Tuồng (classic drama) and Traditional Folk Opera Contest in the central city on August 20-29. 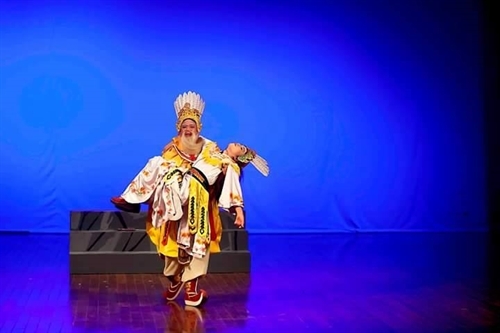 The Ministry of Culture, Sports and Tourism said the contest will feature 17 performances, of which 10 are classic drama, during the 10-day event at Đà Nẵng’s Trưng Vương Theatre. Event organisers said each performance will last from 90 minutes to 150 minutes, and will depict Viet Nam’s past battles against enemies. Gold medals will be given to the best performances, actors, artists, directors and choreographers. The contest is an annual rendezvous for professional actors and artists to showcase their talents through traditional art performances. The central city has introduced Tuồng to the public and tourists through outdoor performances held every Sunday night. Visitors will also be invited to try on costumes and take photos. Tuồng was introduced at some junior high schools as a pilot project to preserve the century-old performance art. Last year, Tuồng Xứ Quảng (Quảng Nam’s classic drama) was recognised with National Intangible Heritage status. 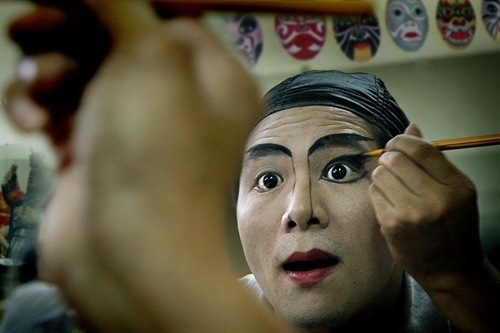 Ready for my close up: An actress makes up her face before performing. Mystical: A Tuồng (classic drama) performance is staged at Da Nang’s Nguyễn Hiển Dĩnh Theatre. Over 700 actors, directors and artists from 11 art troupes nationwide will participate in the National Tuồng (classic drama) and Traditional Folk Opera Contest in the central city on August 20-29. Photos Nguyễn Hiển Dĩnh Theatre.